This Basil bird table is absolutely gorgeous. It is so well made and is a real statement in my garden. I waited a little while for it to arrive but it was definitely worth the wait. You cannot rush craftsmanship. Thank you Dominic and the team and also to Nigel for delivering it. A really excellent product. Great design, well made and a first class service. 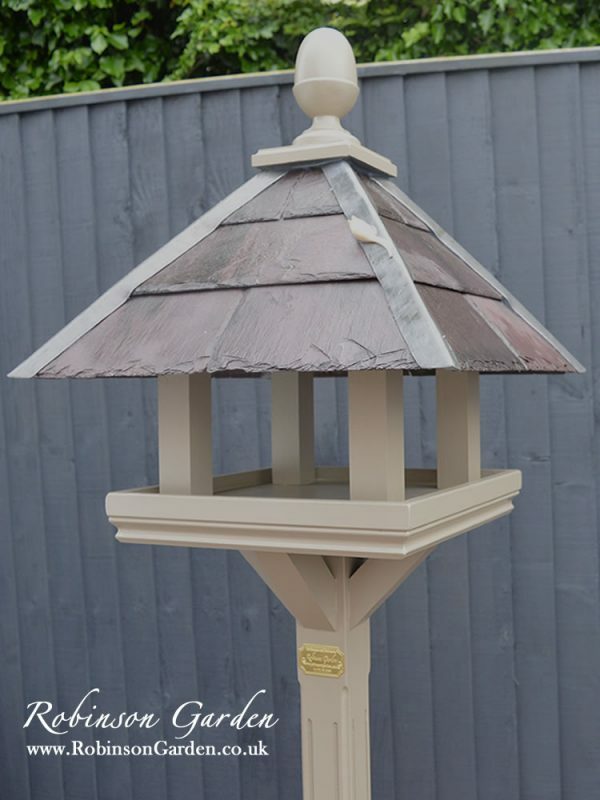 Very happy with our new bird table. The build time was almost exactly as per the advised time provided on the website ….not quick but well worth the wait for such a high quality product. My late Father bought this for my Mother’s 70th Birthday. Sadly he died before she received it. It is very special to us and the workmanship is lovely and very good quality. We will cherish it always. You have to pay for quality and the Basil Bird Table we bought to enhance our garden is worth every penny. We had guests visit and the first thing they said was “you won’t find that at your local garden centre”. A Big thank you to Dominic and your team and to Nigel, not only delivering the Bird Table but telling us how to look after it. 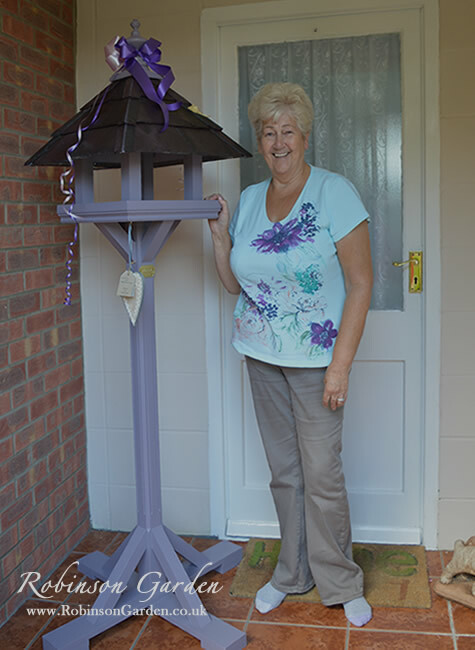 We had delivery of our bird table last Friday. 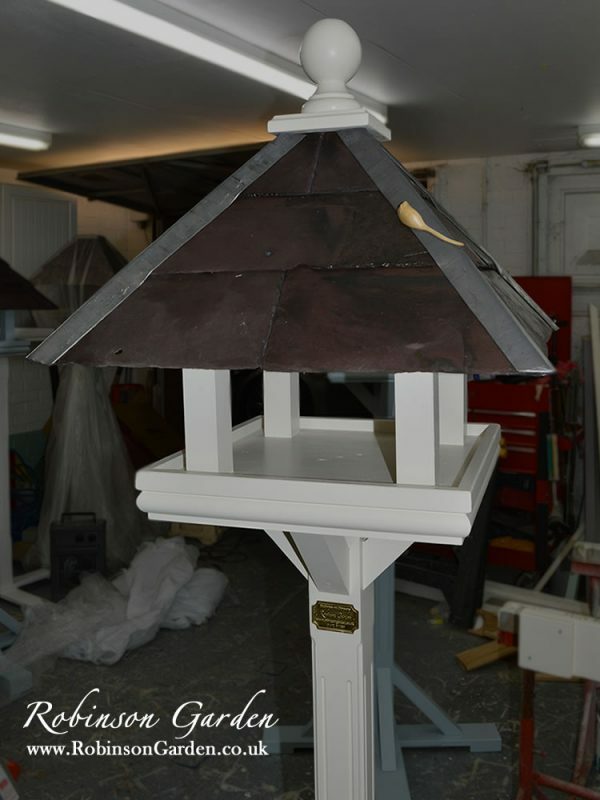 We have been looking for a nice bird table for months and this is just what we wanted really lovely and beautifully made. Well worth the wait. 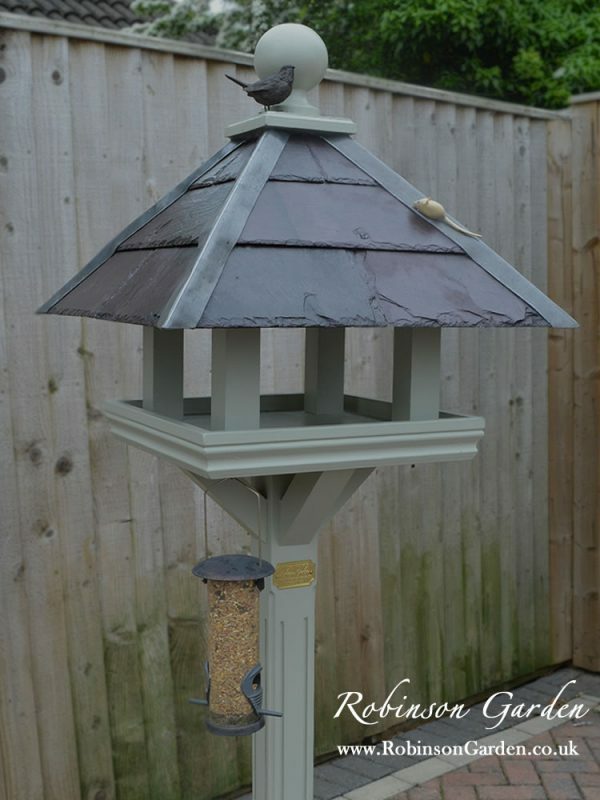 We love the Basil bird table! It looks attractive and adds a point of difference in the garden. It is excellent quality, sturdy and the mouse makes me smile! Great, friendly service.